Browse: Home » What’s in a Name? When Zubeidat Tsarnaeva, the mother of the alleged Boston bombers, said this last week that she was sorry the family had ever immigrated to the United States, there were no doubt many Americans, and especially Bostonians, who were even sorrier. In addition to their specific crimes in Boston, and their intended ones in New York, Mrs. Tsarnaeva’s sons have more than anything else succeeded in amplifying the general unease that we now all suffer from in the United States, the unease that was already there but still largely unacknowledged before 9/11, but which after 9/11 no one could any longer ignore. Terrorist attacks, both attempted and successful, as well as shooting after shooting, have forced many of us to the sorry conclusion that you really can’t go anywhere anymore. Not to work, or school, not to the movies, to a political rally or to a marathon. Or you can go, but you can’t go with a mind free of fear, of what-ifs, of contingency plans. You are constantly looking over your shoulder now. The old certainties we grew up with have been swept away. Now some might point out that the vast majority of people around the globe have always lived without a great many of the certainties middle-class Americans have been raised to take for granted. They might say that our rude arrival into the real world, though tragic indeed, was long overdue. You can’t have everything happening “over there” forever, you know. You have to grow up some time. The Tsarnaev family hails from an area of the world, the Caucasus, where people have been looking over their shoulders for millennia. In this mountainous area of land to the south of Russia where fighting has been endemic for as long as anyone can remember, it was said of the locals that they wrote love poems to their daggers. * The wild tribes of the region traditionally lived in villages, called aouls, perched high up on inaccessible mountain peaks. They would periodically sweep down out of these villages to the valleys below to do battle against one another, or any other enemies who might present themselves. The main other enemy in modern times has been the Russians who, starting in 1817, attempted to subdue the Caucasus as one step in their grand imperial plan to go on and conquer Persia, the Ottoman Empire and even India. This dream of the great Russian Eastern Empire, however, ground to a brutal halt in the mountains of Dagestan and Chechnya where it took the Russians nearly fifty years of campaign after campaign, of misery and death on all sides, to bring these areas and its peoples under nominal Russian control. Very nominal. It was never an area that the Russians were entirely sure of. In the 1940’s, for example, eighty years after the Russian victory, the Chechens rose up once again against the hated northerners, the Soviets, who were at that time engaged in the desperate struggle of trying to drive the Germans out of the Soviet Union. The Chechen rebellion was put down and as punishment, Stalin had those he didn’t kill deported to Siberia. They only got home again in 1956. And then there were the brutal Chechen wars of the 1990’s, the wars the Tsarnaev family understandably fled from. The atrocities on both sides were appalling. The Russians of the late twentieth century, whose historical memory is a long one, did not, however, intend their Caucasian war to last for fifty years. Grozny was flattened and the area once again brutally subdued. The history of the Caucasus thus repeated itself once again in bloodshed, in reprisals, in misery. Tamerlan Tsarnaev was born in 1986 in Kalmykia, a small Caucasian region to the north of Dagestan, when it was still part of the old Soviet Union. When he was small, his family moved to Kyrgyzstan, later to Chechnya, then Dagestan and finally to the United States. You could say he lived his whole life looking over his shoulder. His mother, long before it became the done thing for troubled Muslim boys to turn themselves into suicide bombers, named him Tamerlan, or Tamerlane, in English. Do you know who Tamerlane was? He was a Turkic ruler who conquered West, South and Central Asia in the late 1300’s. He called himself the Sword of Islam and was at that time the most powerful ruler in the Muslim world. His armies were feared throughout Asia, Africa and Europe. It is estimated that they killed 17 million people under his generalship, almost 5% of the world’s population. Yet he was also a great patron of art and architecture. He interacted with Muslim intellectuals of the day. A complicated personality. Difficult to understand. Hard to admire. Did Tamerlan Tsarnaev know he was the namesake of the great Turkic conqueror? Almost certainly. Did his dreams of distinguishing himself start already there? One wonders. 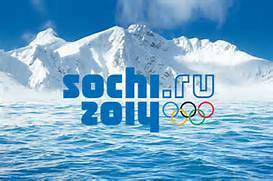 I read this morning of Tamerlan Tsarnaev’s thwarted dreams of boxing for the United States Olympic Team. I read of how devastated he was when he was barred from competition because he was not an American citizen. He had wanted to be a champion, a conqueror. He had been so sure. It was only after this bitter disappointment that he turned to religion, and apparently started thinking of a less secular way to draw attention to himself. If his mother had a hand in this, shame on her, but as far as I’m concerned, whether this is true or not is irrelevant. His parents had already marked him, compounding his tragic birthright, the struggles of the Caucasus, with a name synonymous with carnage. They named their son after Tamerlane, a murderer, a man who in the fourteenth century terrorized whole continents, seeing to it that for many decades no one felt safe no matter where they were, a man who caused millions of people to live their lives in fear, always looking over their shoulders. Thanks for the post, I appreciate the historical perspective. Even with the relative simplicity of raising teen aged boys in America, everything is so complicated. I can’t begin to fathom what the mother thought and thinks now. Nor can I, really. The whole thing completely boggles the mind. Thanks Linda. That was terrific to read.. hope you two are well. Fantastic, Linda, Very, very interesting. As you have alluded, I think the mother is the real story. She has exhibited every emotion so far- grief, denial, rage, hubris. I look forward to that side of the story coming out. Maybe Tamerlan was trying to please her. Maybe he was. You are certainly struck by the difference in how she looked when he was small, fashionably dressed, spiky, hip hairdo and how she looks now, wrapped in black. Thanks for the post. The significance of a name and of maternal prophecy is very real to the human journey. Your post brings this home and is chilling. We live in complicated times eh? And it never ceases to amaze me how consistently each generation turns to violence and cruelty all over our planet. What is wrong with us? One can’t help but become downhearted, but as you and I both know, there are other, more uplifting immigrant stories to tell, of hope and success and positive dreams for the future.